CNN reporter Oliver Darcy, one of the network’s key figures who spearheaded efforts to take right-wing media outlet (dubbed a conspiracy theory site by some) Infowars off social media, was confronted by the founder and owner of the site Alex Jones Wednesday in Washington. 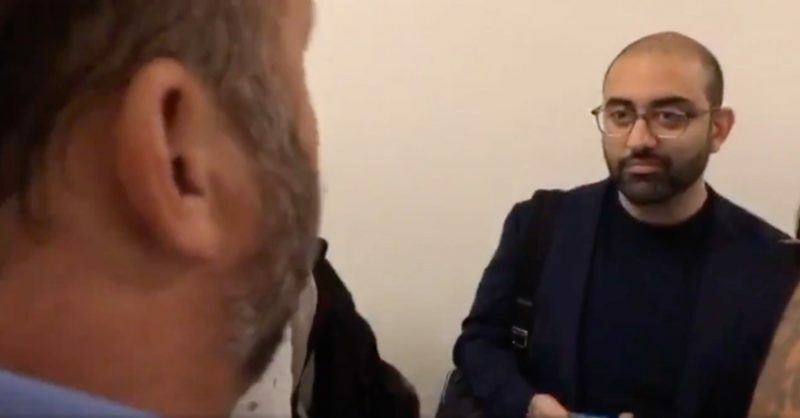 Darcy, who seemed stunned at the presence of Jones and at a loss for words listened silently as Jones levelled criticism against him about de-platforming conservative voices from social media platforms like Facebook and YouTube. At one point Darcy takes out his smartphone to record the encounter. Here’s the video of Alex Jones confronting CNN’s @oliverdarcy – the reporter who lobbied YouTube & Facebook to shut down Infowars.